So today is day one of my fasting. Ive not at all been hungry, and mostly feeling really good apart from headache and nausea from my concussion. I woke up at about 8 and forced myself to go back to sleep till 10 – got up and scootered down the hill to catch the bus to get to therapy. So another 45 mins later the bus arrives, and I get to the waiting room, to find that the receptionist is on the phone… and she remains so for 15 mins… so my therapist doesnt know im waiting, and probably thinks im a slacker and am late! In therapy we practiced mindfulness – but this time instead of focusing on the breath, we were focusing on an object. I was super good at it, and didn’t get distracted at all. 😀 Yay for small wins! But before we did that, she opened my sensitive claim from when i was a kid, and i also got sent one to my house – it talks about all the abuse and counselling i had when i was a kid. It really upset me. Ive been at home in tears for the last hour over it. Im going to use it as motivation to not eat though. No way hosea am i going to eat. I just watched super skinny me on youtube, and now i feel the need to go out and exercise for 2 hours, and i feel bad for being in bed! I did scooter for about 45 mins today though so theres some solace. The problem is, i really want to exercise, i have the energy to for once, BUT im not allowed to! 😦 How important is it with a concussion not to exercise anyway?? I think i will just get back into it anyway. i cant handle not exercising. Plus, my metabolism is going to slow down majorly if i dont. so i have to right?? Another question – how important is it to take anti inflammatory pain killers or paracetamol with food? Because my headache is killing me, but im not going to eat. can i still take my meds? Day 1 is so boring, i wish it was day 14 right now, because then i will feel a sense of achievement and awesomeness. Day 40 will be even better, but i bet i will be feeling so sick. I dont even care if my heart fails along the way. as long as i get skinny. Besides, so many people have managed 40 day fasts without ending up in hospital, so i am determined to not be pathetic, and just get over myself. I do not want another ED trip where a doctor says there is nothing wrong with me go away (how embarrassing!) 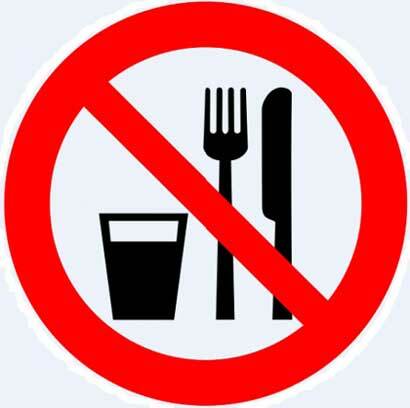 – that was from pots though, not eating stuff, and the doctor did not know anything about it. Right, im seriously rambling now. So i had better stop.